Tracey Camilleri is the co-founder of Thompson Harrison, along with Sam Rockey, and is currently an Associate Fellow at Oxford University’s Säid Business School (OSBS). At OSBS, she designs and directs the flagship Oxford Strategic Leadership Programme (one of the three open programmes at OSBS, ranked number 2 in the world for Open Programmes (Financial Times, 2018)), as well as bespoke senior development programmes. She is known for her innovative design approach, her focus on humanities and what it means to be human in a world increasingly dominated by process and machines. English Literature with first-class honours. Sam Rockey began her career in the first democratically-elected government in South Africa in 1994, in the arenas of development, strategy and change. More recently, she was the Global Head of Leadership Development for the FTSE top 10 company SABMiller, now part of AB InBev. During her 17-year career at SABMiller, she held a number of leadership roles in human resources at country-, regional- and global level. Sam’s work on leadership development has won awards and has been written up in a number of books and publications. In addition to this, she is a frequent speaker on the topic of leading in transition and organisational transformation. Sam is on the Imperial College Business School Advisory Board for their Global Online MBA and on the Advisory Board of the Baobab Network, a start-up business that connects early-stage businesses in Sub-Saharan Africa, with talent and investors from around the world. She is also a tutor on the Oxford Strategic Leadership Programme, an Oxford Säid Business School Open programme. Sam has a Masters of Science in Development Planning and a Masters of Management in Human Resources. Sam works in collaboration with Robert Rowland Smith on the Dynamics of Power - working with clients to achieve a deeper understanding of power dynamics in play and where necessary, helping clients to correct them. Robert Rowland Smith is a British author and philosopher. His books include Derrida and Autobiography (Cambridge University Press, 1995), Breakfast with Socrates: The philosophy of everyday life (Profile Books, 2009) and AutoBioPhilosophy: An intimate story of what it means to be human (4th Estate, 2018). He is a regular speaker at public- and private events, addressing a wide range of topics that includes philosophy, psychology, politics and art. Robert was elected to a Fellowship by Examination (‘Prize Fellowship’) at All Souls College, Oxford and was awarded a Doctorate in Philosophy in 1991. While a Fellow of All Souls, he also held lectureships at both Mansfield College, Oxford, and Hertford College, Oxford, as a member of the English Faculty. Robert sits on the board of the Tavistock Institute of Medical Psychology and of the Institute of Art and Ideas. He is a founding faculty member of The School of Life. Robert is the founder of Dynamics of Power - focusing on power dynamics in business, family, government, society and relationships. Shruthi Vijayakumar is passionate about education, leadership development, and enabling businesses to be more purpose-driven and contribute to social and environmental outcomes. To this end, she runs her own coaching and facilitation business, in addition to working for the Skoll Centre for Social Entrepreneurship at Oxford University, running impact and leadership programmes for MBA students. She began her career as a management consultant with the Boston Consulting Group, advising large corporate and government clients in Australia. She has since led operations for an education start up in India, managed a social enterprise accelerator in New Zealand and run various environmental campaigns. 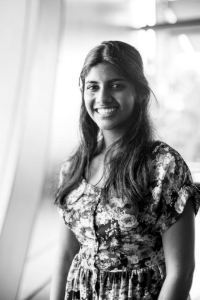 Shruthi has been recognised as a Global Shaper by the World Economic Forum, and was a semi-finalist for the Young New Zealander of the Year Award. She completed her Masters in Business Administration on full scholarship at Oxford University. Gavin Weeks is a clinically-trained psychologist who consults to individuals, teams and organisations, on leadership and behaviour change. His work focuses on helping leaders and their teams to make organisational changes through shifting behaviour. He helps clients design leadership models, make values-led changes and ensure their teams are able to manage the complexities they are faced with. Gavin draws on a professional background in clinical and sports psychology to build performance, and understand and overcome barriers to change. He has a wealth of international experience in multinational organisations (including SABMiller, AB InBev and Spectris), consultancy, sport (working with Harlequins Rugby Club and high-profile athletes) and in various clinical psychology roles for the NHS. He has a doctorate in Clinical Psychology and Masters of Science in Neuropsychology. 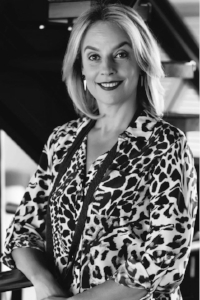 Kim Howard is a South African-based psychologist working with senior leaders and teams at the helm of large institutions and systems, assisting them in aligning behaviour with their strategic priorities, through enhanced collaboration and behavioural insight. She also supports senior leaders as an executive coach. Kim started her career as an investment analyst with HSBC, before heading investor relations at Standard Bank. From the vantage point of strategic and financial analysis, she noticed the positive effects of emotional commitment, collaboration and team cohesion on sustainable company performance and now combines her business and psychological knowledge and experience to shift organisational behaviour and inculcate emotional commitment and team cohesion in the workplace. She has Masters in Consulting and Coaching for Change and a Doctorate in Philosophy (Psychology). Robert Poynton is an Associate Fellow of the Saïd Business School at Oxford University, where he has been part of the faculty of the Strategic Leadership Programme for over fifteen years. He is a designer and facilitator of learning experiences and uses an embodied, experiential approach, drawing on the methodology of improvisational theatre to explore how to respond effectively to complexity and change. He also focuses on the use of narrative and story for communication and sense making.In 2017 he was a contributor to the Skoll World Forum and Singularity University Global Summit. He has also led courses on leadership, change and complexity at IE in Madrid, Ashridge Business School and Schumacher College. His clients include Chanel, Natura Bissé, BBC and PwC. He also leads creative retreats in Spain, where he lives. Rob has authored two books on improvisation: ‘Everything’s an Offer’ and ‘Do Improvise’. He is also the author of a book that focuses on playing with time, entitled ‘Do - Pause’. He studied Psychology and Philosophy at New College, Oxford and worked in advertising in London, Madrid and Buenos Aires. Mike Stopforth is an entrepreneur, writer and speaker, passionate about transformational leadership and organisational change with a focus on the digital context. He works with fellow business owners, executive teams and CEOs to get the best out of their people, and the technologies those people use to do their work, in the midst of rapid political, technological and socio-economic change. In this line of work Mike is often invited to offer business commentary for industry publications, on TV and on radio. Mike took the entrepreneurial plunge to start a company called Cerebra in 2006. With a specialist focus on digital content and engagement, Cerebra won numerous multinational accounts and grew quickly to become Africa’s leading social media agency. In his role as CEO of the business he worked with executive teams in Coca-Cola, Samsung, Toyota, Vodafone, AB InBev, Ford, Huawei, Barclays, and more to build digital capability and agility, and to equip their leaders for success in the social and digital era of business. Cerebra was acquired by global advertising giant WPP in 2013. In 2007 he co-founded a web start-up called Afrigator.com that was acquired by Naspers just 18 months later. Around the same time, Mike began hosting a popular networking event called the 27dinners, which went on to catalyse business collaborations and relationships through hundreds of successful events. Oliver Cox is Heritage Engagement Fellow at the University of Oxford. He leads the University’s partnership work with the UK and international heritage community, and is co-lead of the Oxford University Heritage Network. Oliver works at the intersection between historical research and its application in cultural and commercial contexts, creating authentic, accurate and accessible content to engage and inspire. He’s especially excited by the potential for ‘historical thinking’ as a leadership and development tool. Oliver is a historian by training and received his undergraduate, masters and doctoral degrees from the University of Oxford. 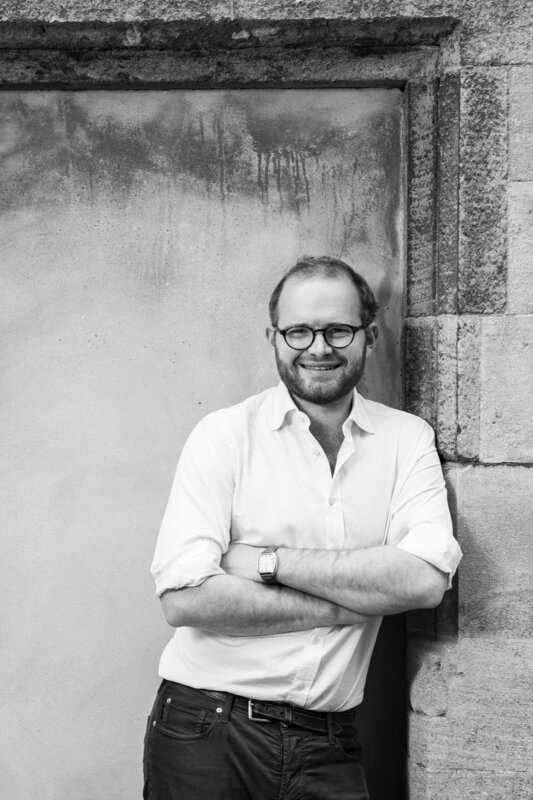 He teaches architectural and cultural history with a focus on the eighteenth century, and is a Faculty Member for both the Oxford Strategic Leadership Programme and Oxford Cultural Leaders at the Said Business School. He is a Council Member of the Oxfordshire Record Society; Heritage Officer for the British Society for Eighteenth-Century Studies (BSECS); Governor of Compton Verney House Trust; and sits on the Education and Publications Committee of The Gardens Trust and Arts Council England’s Designation Panel. Oliver is chair of The Heritage Alliance’s Digital, Learning & Skills Advocacy Group.